Real Madrid continued their resurgent run on Wedneday as they cruised to a 5-0 win over Viktoria Plzen in a UEFA Champions League Matchday 4 tie. Viktoria Plzen were the stronger of the two sides to begin with, as they took the game to their visitors. But, Real Madrid soon found their feet, breaking the deadlock in the 20th minute through Karim Benzema, who finished a fine solo effort by rounding off two defenders before beating Ales Hruska. The reigning champions were soon two up as Casemiro made no mistake from a free header to slot home his side’s second. Real Madrid continued dominating the proceedings thereafter, and netted their third in the 37th minute with Benzema doubling his tally with a headed effort after Gareth Bale’s outstretched effort went across the face of the goal. The Frenchman then provided the assist for Bale, who ended his drought with a fine first-time shot. With the game wrapped up, Real Madrid never quite had to get out of second gear in the second half. But, the visitors did add to their tally as Vinicius Jr. embarked on a driving run before laying off the ball for Toni Kroos, who curled home the final goal of the game. The result helped Real Madrid consolidate their place atop the Group G standings, with just one positive result between them and a place in the Round of 16. The Hard Tackle now runs the rule over Santiago Solari’s men, as the interim boss notched up a third successive win to start his spell with Los Blancos. It was a surprising decision by Solari to name Courtois as the goalkeeper, breaking the rotation policy that had been implemented under Julen Lopetegui. But, in a game where the Belgian only had a couple of regulation saves to make, it is not clear as to whether the interim manager’s decision was justified. A solid enough performance nonetheless, with Courtois also distributing the ball well. Nervy to begin with, Odriozola quickly found his feet to help his side out on the defensive front when Viktoria Plzen were piling on the pressure early on, using his pace to good effect. Not so efficient on the opposite end, but there were promising signs from the young Spaniard, especially at the back. The hosts’ stunning start had caught Nacho out, with the Spanish international lucky to have conceded an own goal in the opening exchanges. But, the player grew into the game as the minutes passed by, also making a couple of crucial blocks. However, there is a sense that he needs to do better still. The Real Madrid captain can count himself lucky to have not been sent off in the first half, although it initially appeared that his connection was unintentional. 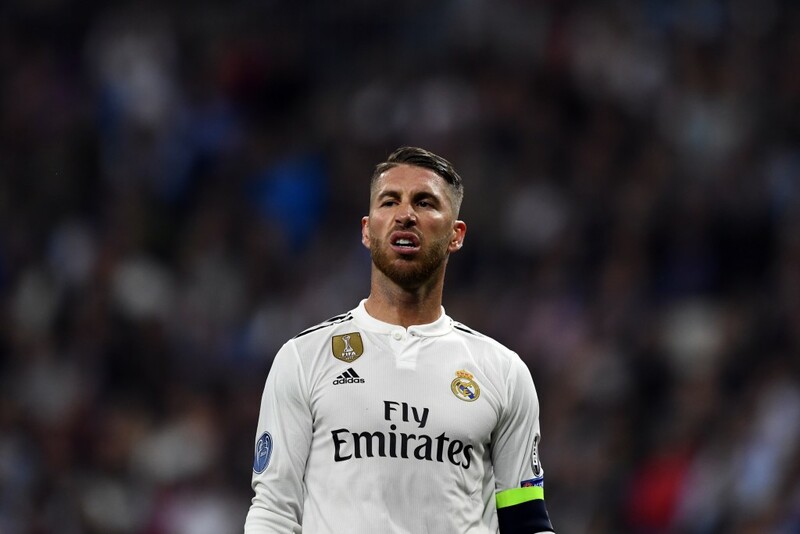 Otherwise, Ramos did not have much to do apart from the early struggles, and was taken off in the second half to be given a rest. A player who seems to be growing into his role of being Marcelo’s deputy with each passing game. This time around, he may not have had the best of outings, but Reguilon was involved in Gareth Bale’s goal in the first half and was rarely tested at the back, with Viktoria Plzen concentrating most of their attacks on the opposite flank. Starting ahead of the underperforming Luka Modric, Ceballos enjoyed a solid outing in the middle of the park. 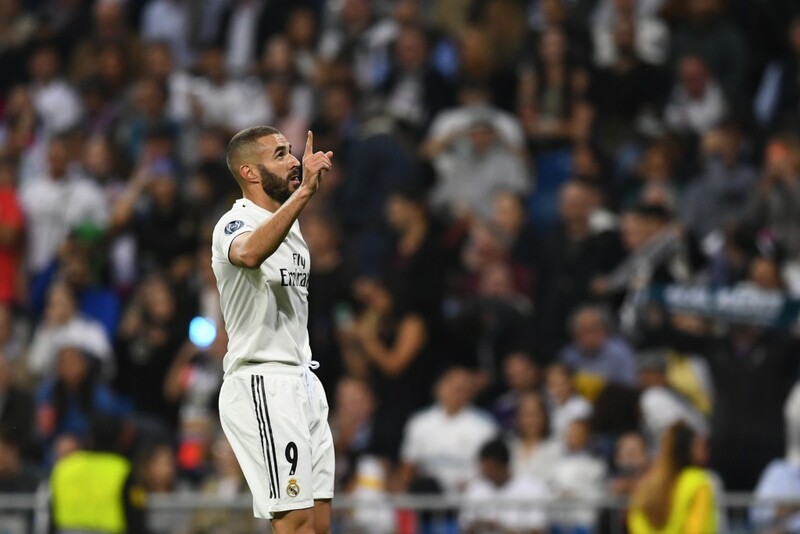 The Spaniard kept play ticking and even had a role to play in the second goal that Benzema scored, delivering the original cross that eventually found its way to the Frenchman. A positive showing that gives Solari something to think about. Helped bring the Viktoria Plzen juggernaut to a halt with his dedicated work off the ball. Faltered while on the ball, at times but Casemiro’s influence enabled Real Madrid to remain scot-free. Also scored one of the goals for his side, making no error in converting from a free header. Kroos has been far from his best for the most part this season. But, his struggles seemed to be a thing of the past as the German playmaker beautifully took control of the proceedings by pulling the strings in the middle of the park effortlessly. Kroos was involved in the first two goals before producing a stunning curling finish to round off the win. A performance right out of the top drawer, and Solari will now hope he only improves from here. Another poor showing from Lucas Vazquez, who is yet to make a lasting impression on either manager that has taken charge at Real Madrid this season. While he was a willing runner on and off the ball, the end product was typically lacking, missing a couple of opportunities to net a goal himself. Sloppy on the ball as well, it’s back to the drawing board for the 27-year-old. Benzema seems to have rediscovered his goalscoring touch after a lull for over a month in September and early October. His first goal was a thing of beauty as he drove towards the Viktoria Plzen defenders and danced his way past three defenders before finding the back of the net to join the 200 club. He doubled his tally soon after with the simplest of headers. Having built up his confidence with the two goals, Benzema continued a good night’s display with strong link-up play and neat touches. Will hope to string together a run of goalscoring games with this outing. Another player who has been in need of some inspiration lately, Bale produced a solid performance on Wednesday, nothing up a goal and an assist. His goal in particular was neatly taken, slotting a first-time shot into the bottom corner with ease. Kept things simple otherwise, and will be hoping to improve. A surprise substitute appearance helped Sanchez make his Champions League debut. A solid enough showing in the 30 minutes that he was on the pitch, the Real Madrid academy product gave another reminder of his abilities, and might just usurp the injury-riddled Jesus Vallejo soon. Another player who got the opportunity to make his Champions League debut, Vinicius Junior made a telling impact on the game, producing a driving run before assisting Kroos for the fifth and final goal. There were a few frustrating moments, but those could be ironed off with more experience. Another step in the right direction for the Brazilian prodigy. On for the final 15 minutes, Isco did not do much of note during his short cameo.